Happy Day of the Goat, um, wait... Happy Spring! 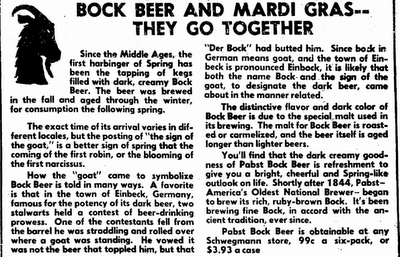 Who knew that the goat was the official harbinger of Spring?? Not me.. that's for sure. And, why does the goat symbolize spring, you ask? 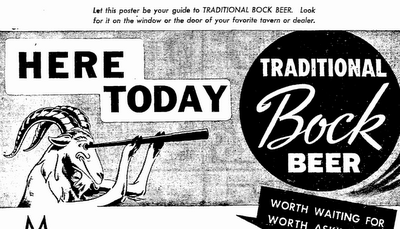 Well, its because of BEER! 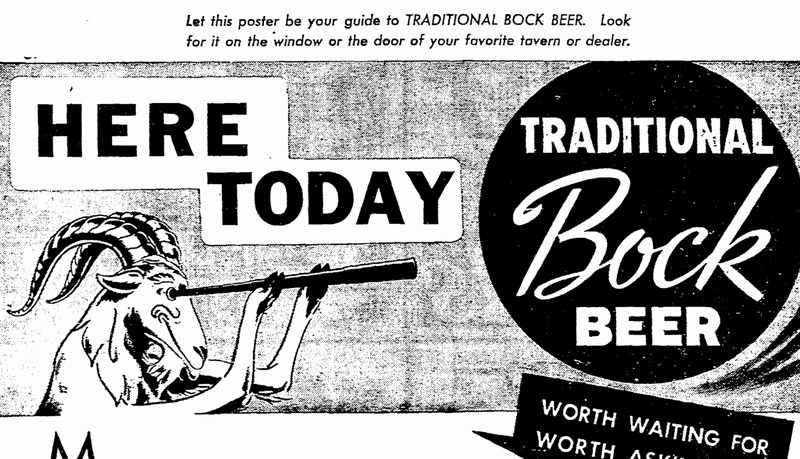 Bock Beer to be exact! Confused yet? No worries, I'm good at that ;) But hopefully a little history can clear it all up! 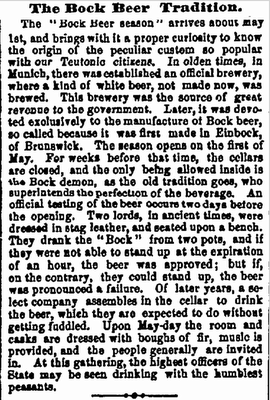 Beer happens to be one of my favorite subjects so, naturally, if its time for me to do some research in old historical newspapers I tend to gravitate to the topic. And, of course - with me - one thing leads to another... and hence the Beer = Goat = Spring connection is born (more accurately, reborn)! I've always known that certain seasons of the year have connections to different types of beer... Pilsner is a wonderful, light, refreshing drink for a sunny, summer afternoon where a Porter would just not do! BUT, in front a crackling fire, on a snowy chilly night, a Porter could really warm a person's body! 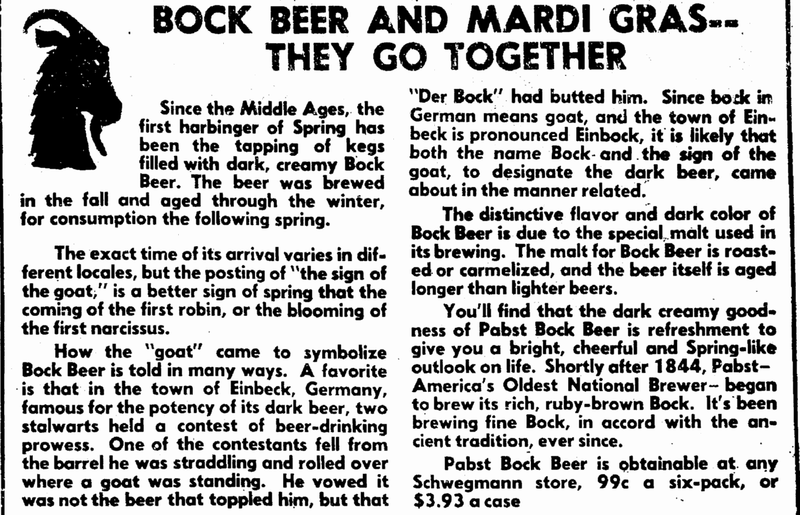 So, as it turns out, Bock has its time of year too - Spring. 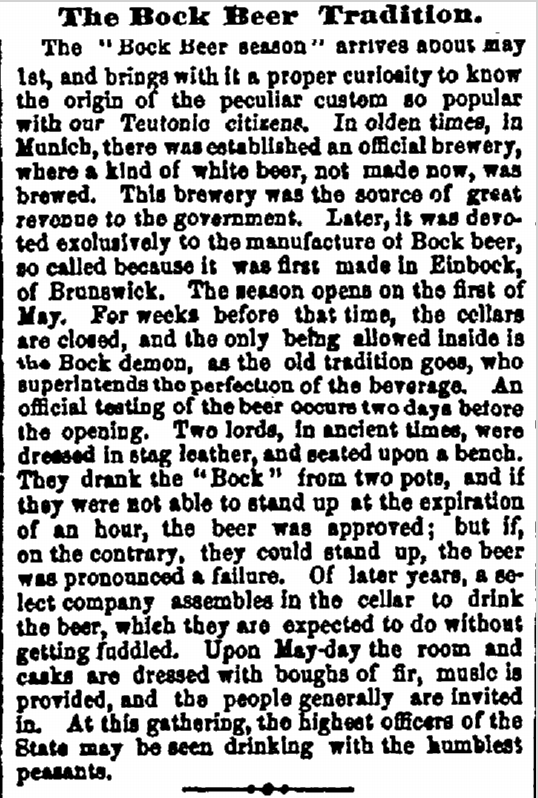 While its history is a bit obscure and convoluted - and, hey, even colorful (it IS beer after all), a common accepted notion is that after months of cold weather fermenting, Bock beer was finally tapped in the spring. Whatever you choose to believe - Keep an Eye out for the Goat! And Happy Spring!